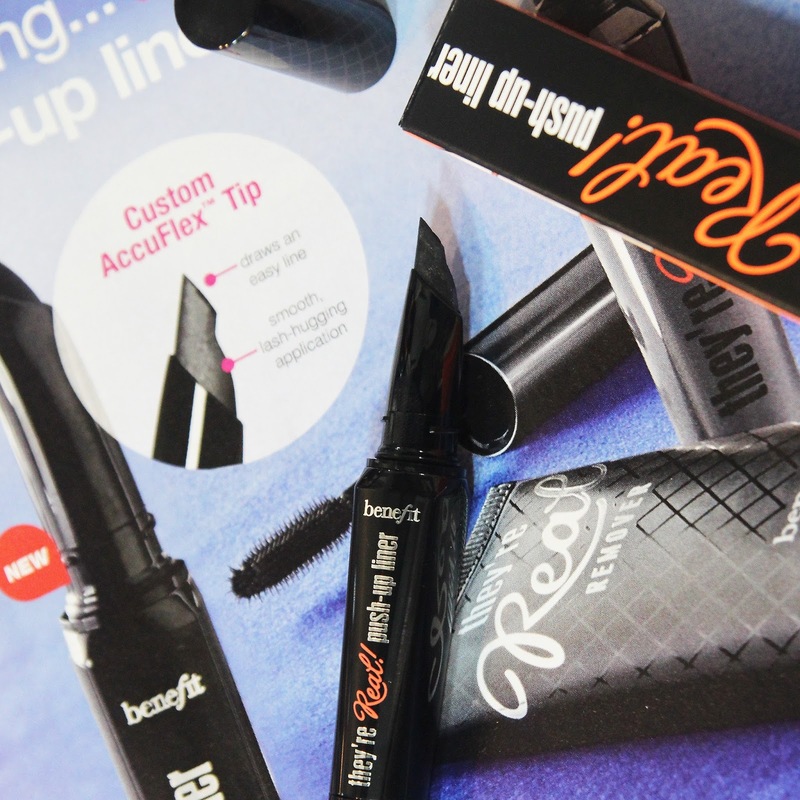 Last week I made a Sephora order just to get my hands on a sample of what I feel like is the most hyped up beauty product of the year: Benefit They're Real Push Up Liner! 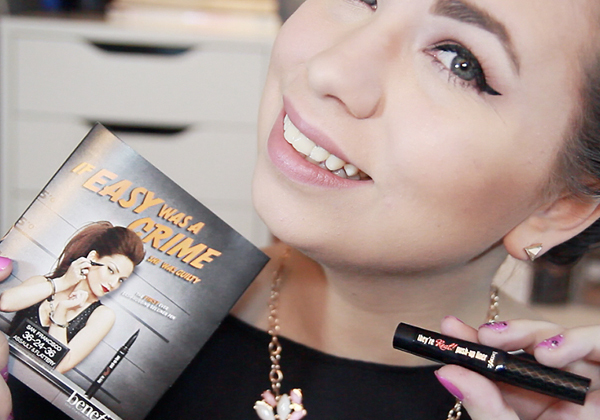 I hadn't watched too many reviews on the product but from what I had heard is you either loved this liner or hated it. So obviously I needed to see which side of the coin I was on. You can see in my full First Impression & Giveaway video my initial reaction and experience with the liner and today I am just going to briefly go into my thoughts after the fact. I have now worn this liner about five or six times so I feel I can give a better review on it. The first time I wore this liner my biggest concern was the "flaking" some others had experienced after a few hours of wear. I made sure to pay a decent amount of attention to that, I myself experienced absolutely NO flaking at all. Worn both over Urban Decay Primer Potion and a MAC Cream Color Base: and even a shadow with no primer at all. The first time I wore this liner I wore it for over 12 hours and I didn't have any issues with smudging and flaking or anything like that. The application was pretty easy the first time I used it, and I loved the way the wings turned out; very pin-up-esque. It glided on with ease. It did say that one click of product would have you covered for one eye, but each time I used this I ended up using 3 clicks. The color was gorgeous, a very thick creamy matte black that didn't loose intensity throughout the day. The two cons to this product that I can find is number one: the price. At 22$ I think it is a little high, I think at $18 or even $20 it would seem a bit more reasonable to me. And also the removal process, after spending $22 on the full size I do not think it is justifiable to splurge on an eyeliner remover that coordinates with the liner. But DAMN this stuff is a bugger to take off. Most liners come off with ease, but this one I had to double soak it in remover. Overall I really do love this liner, and I can see myself purchasing this with Birchbox points or if it ever goes on special. Maybe I will get more addicted to it and find myself splurging on it before one of those options. I would definitely try it out if you have an opportunity to, speaking of that: don't forget to check out my video for a chance to win a sample size of the product! 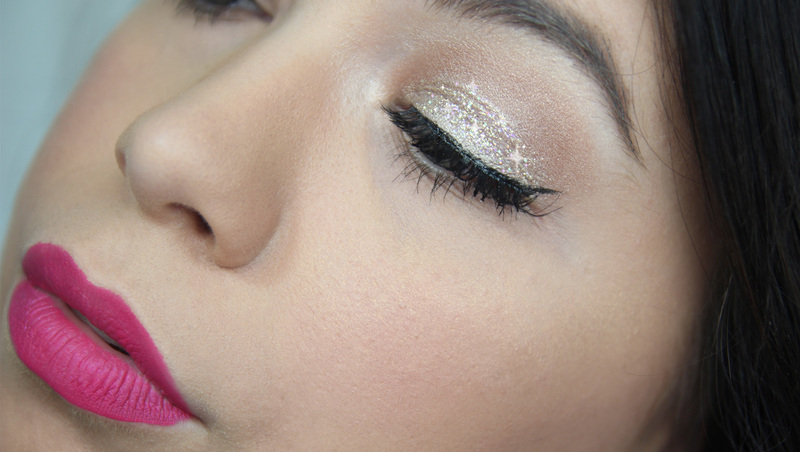 What do you think of this liner? Worth the hype? 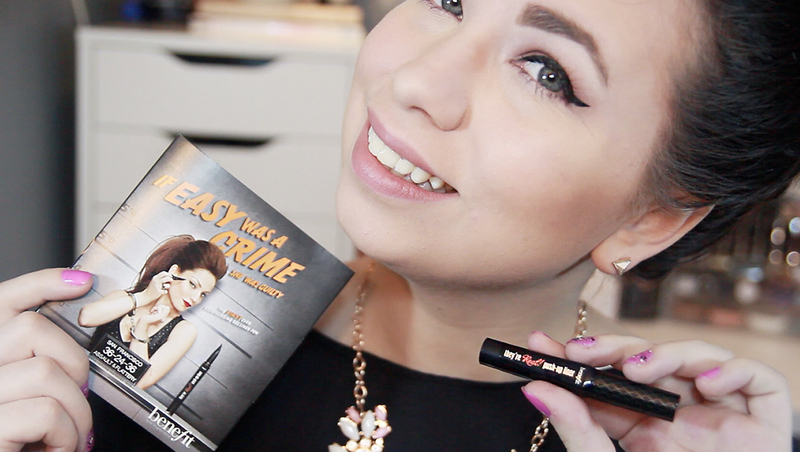 Benefit They're Real Push Up Liner ♡ First Impression & Giveaway! First things first we are going to talk about something no one really ever talks about... Pads! Though I am usually a tampon girl there are some days and nights where a pad is just the easier solution; you all know what I am talking about! 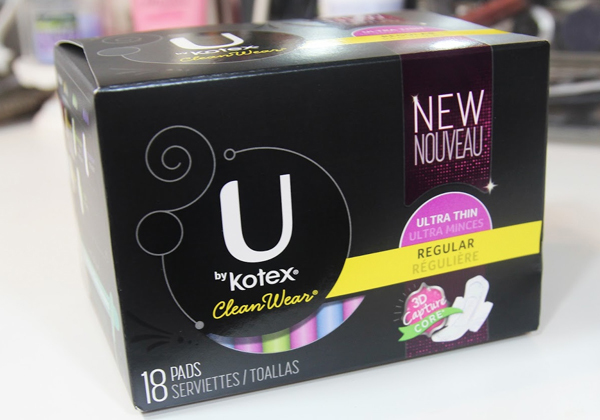 U by Kotex® offers a full line of feminine care products for periods including pads, liners and tampons. Outstanding protection that keeps you one step ahead. And what is also great about these pads is that they thin, but still absorbent! And I don't know about you but it always seemed like it was one or the other for me! They are the perfect balance of both and I feel like my hunt for the perfect pad is over. I would also like to add that I have been a Kotex girl since High School! So for EIGHT years, dang I am getting old. I love the U line especially, I have always been attracted to the neon wrappers and the compact designs that they have coined! Haven't tried Kotex? Well right now you can get a FREE sample! 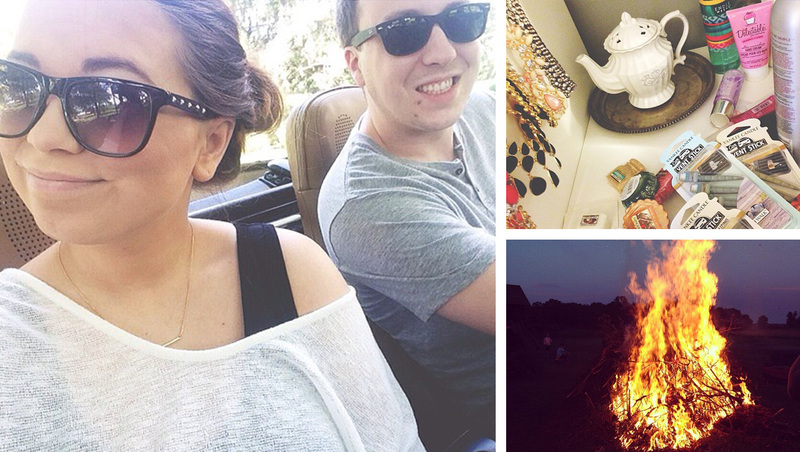 Don't forget to check back for the rest of the week for more of my summer beauty essentials! 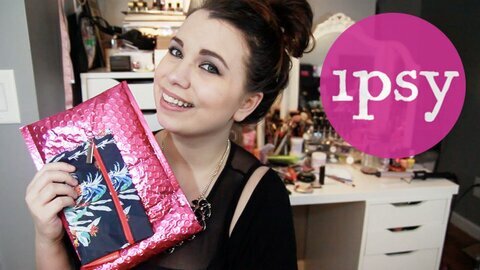 Have I told you guys lately that I love IPSY?! It has probably been my favorite subscription service this year! This month I felt like I got a super amazing bag with a very wide variety of products, and this month only two of the items where not full sized. Also this month I redeemed 2,000 Ipsy Points for two Jouer Lip Glosses, what a steal! Each month, subscribers will receive a beautiful Glam Bag with deluxe samples and full-sized beauty products. Members can watch and play along with the stylists with the same products that they are using. All for only $10 a month! Today on the YouTube I uploaded my Weekly Vlog! This may be only the second of this series I have started but so far I have been really excited for it and really happy with the way it is going! If you have watched the blog you may know that there is a giveaway featured in it! The Memebox Mini Box #1 appeared on my doorstep, such a cute idea to try memebox without committing to the higher price tag! Only downfall for me was that I own most of the products full sized. But though it was my loss: it is totally your gain! Good Luck! Mary Kay came out with cute makeup? Say what! Mary Kay has kind of been known to be quite "old lady"-ish. Recently they came out with a "At Play" line which is full of pretty packaging, bright colors and more youthful models. Obviously I was sold so I had to try a couple of items from the line! Not only do I love these new products by Mary Kay, I am actually looking forward to further releases from this line! I'm not going to go full force into a review but I just wanted to mention a couple of key points. 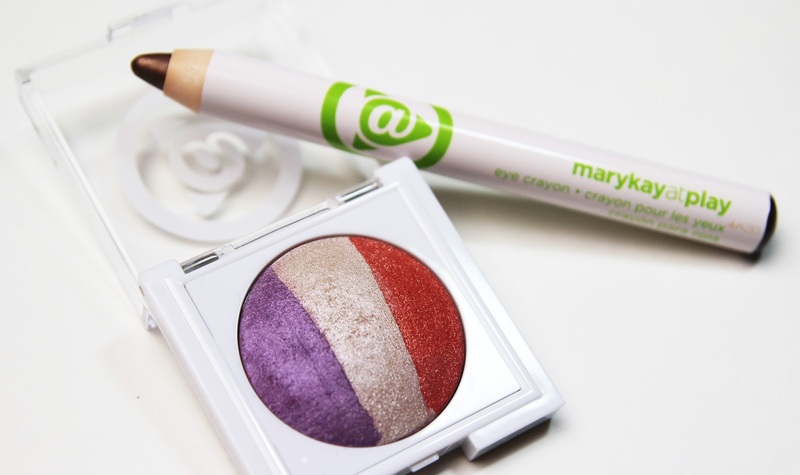 The Eye Crayon in Taupe is gorgeous. I knew as soon as I saw this item in the catalogue I had to pick it up. It was a little more expensive than I would like an ten dollars, but that is still pretty good compared to some higher end brands. The lasting power of this pencil is impressive as well, I love it as a base for neutral eye looks! I would be interested in checking out the color selection that they release in the future, and might even be tempted to purchase a few more! As for the eyeshadows I am just as impressed. I'm all about baked eyeshadows, because you can use them wet or dry. They are super pigmented, and blend super easily. I would have to say though that the color selection is a little childish. Purple, white and orange… The other option this season is a purple white and blue. I do think they could have added more of a variety, maybe a fun colorful palette and a neutral fresh looking palette or even a light pastel palette! I don't think I will be using all of these shadows together anytime… EVER. But I think for a pop of color these shadows are a nice go-to selection! What is your favorite trio in the collection? Available from marykay.com for $10.